(1) CSF-316L(P) is flux cored wire and designed for Fillet & H-F(All-position) welding with CO2 gas Shielding. We are offering E316LT1-1 Flux Cored Wires to our client. CaSi Cored Wire / CaFe / Boron / Carbon / Graphite / FeSiMg Cored Wire and others. TIG Wires & MIG Wires. 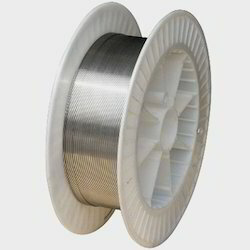 Flux Core Wire. We are into offering a quality approved array of Flux Core Wires. 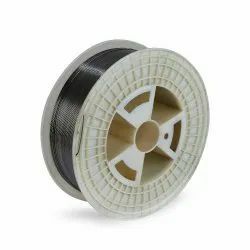 The Flux Core Wires we offer is widely demanded for their durability and reliability. Our products are made by using quality material. Besides, offered products are known for their sturdiness and durability. In the modern era of steel making, liquid metal treatment has become demanding with respect to strength, uniformity, and price competitiveness. Gas Shielded Stainless Steel Fluxcored wires from Kobelco Japan, are now avaliable with Super Alloys & Metals Pvt Ltd, their authorised distributors. We offer to our customer a wide range of Two Core wire. Hard facing flux cored welding wires are acailable from 2.8mm to 3.2mm and others as per request. FCW is easiest and less time consuming welding process. We offer Open arc, Submerged arc and Gas shielded flux cored wires for wide range of application like Joining, Wear-protection, Repairing and Build-up to meet requirements of various industries.